Serendipity is Sweet: Birthday Splash! Hi there friends! I'm sorry I have neglected this little blog lately. I'm knee deep in wedding season and when I'm not shooting I've been tied to my desk editing. 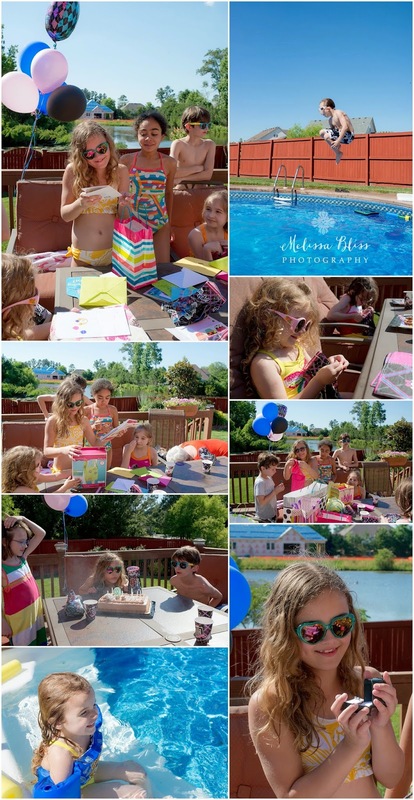 I have enjoyed a few glimpses of summer, however, including at my big girl's birthday party last week. I thought it was about time that I shared a few photos from the festivities. It was a great day for a pool party! She even proclaimed it the "best birthday ever!" Her smile says it all! Happy belated birthday to her!